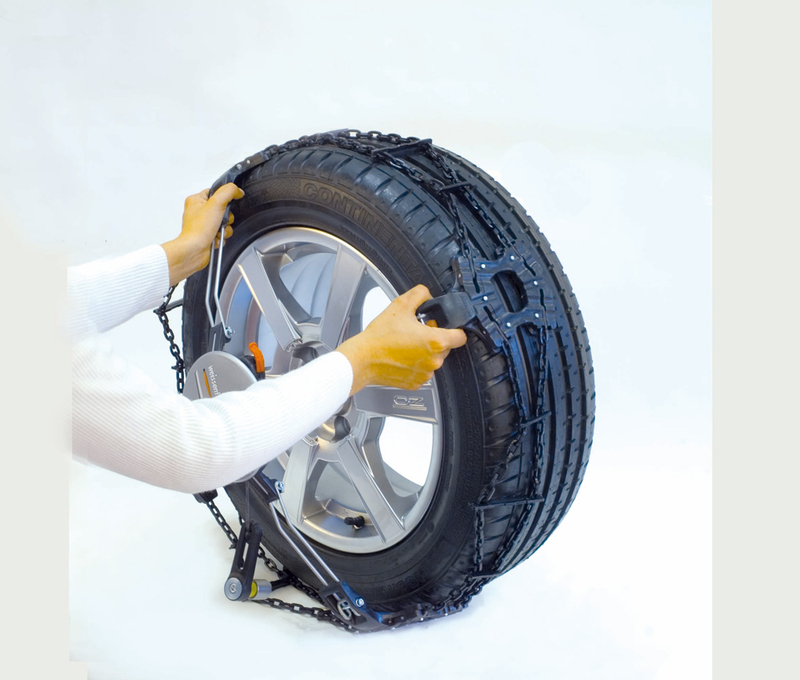 The automatic self-centering and self-tensioning snow chain with absolutely nothing at the rear of the tyre! 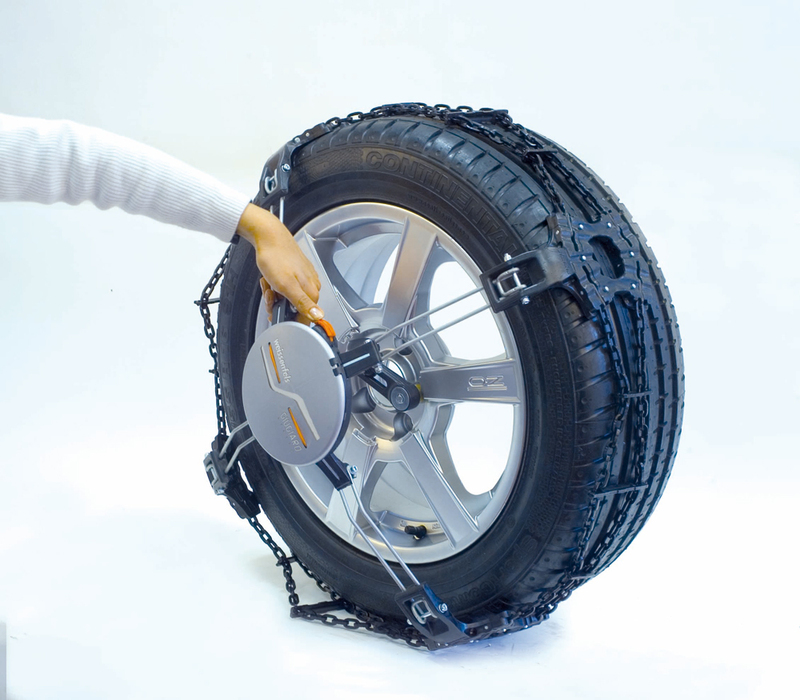 Weissenfels Clack and Go Quattro snow chain has been designed specifically for easy, ultra quick fitting to 4x4 & SUV's that, for any reason, cannot normally be fitted with conventional snow chains with an unladen weight not exceeding 2500 kgs. The Clack and Go Quattro is also ideal for 4x4 & SUV's, such as Land Rover's, BMW's, Audi and Mercedes etc., with large wide wheels and restricted access around the wheel arches and behind the tyre. The amount of grip provided by the Weissenfels Clack and Go Quattro is simply amazing. 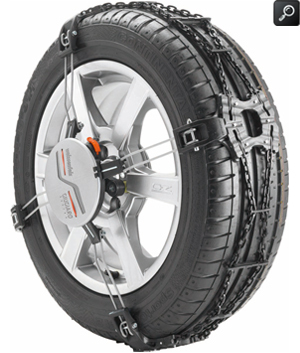 This is due to the unique combination of a continuous 15 mm snow chain pattern, special steel grip traction plates and a series of integrated ice studs that are strategically spaced around the circumference of the tyre tread. In particular one of the features that makes the Clack and Go Quattro so special is that there is a total absence of components on the inner side of the tyre (see above image). Therefore any obstructions such as brakes, steering and suspension on the inside of the wheel are totally unaffected. What's more the fitting and removal is all done at the front of the wheel in a matter of seconds. Each Clack and Go Quattro snow chain is simply fitted to the tyre by attaching a special gripper directly onto one of the wheel nuts. 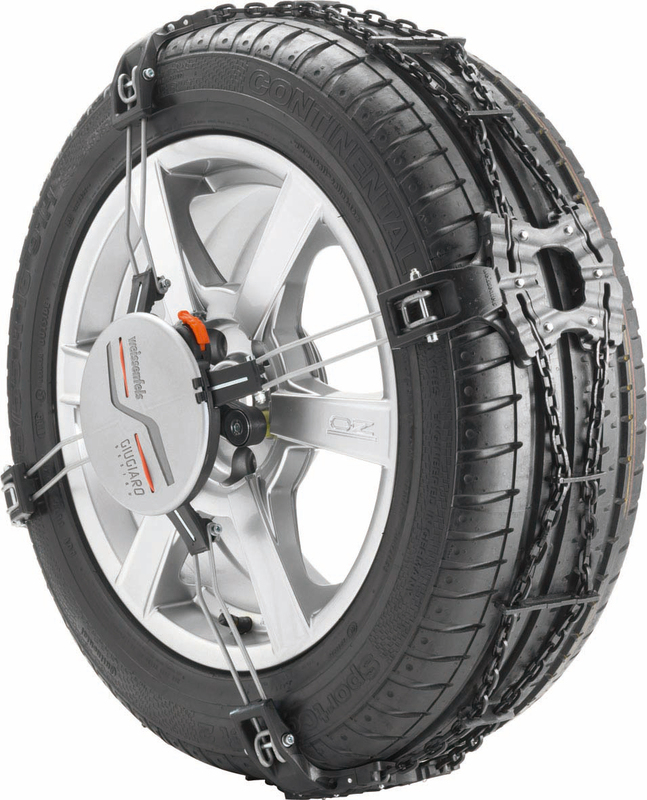 The generous adjustment system allows each Clack and Go Quattro to fit many more tyre sizes than conventional snowchains. For example there are only five sizes as apposed to 14 sizes covering the same range. Automatic self-centering and chain tensioning as you drive. Cannot come loose!